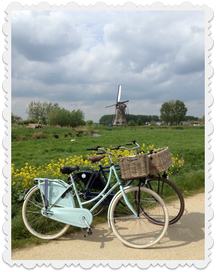 To enable you to explore the beautiful surroundings we offer you the possibility to rent bikes. We have available three lady bikes and one for a gentleman. All bikes have a basket to store your goods. There is also a bike baby chair available for a small price. 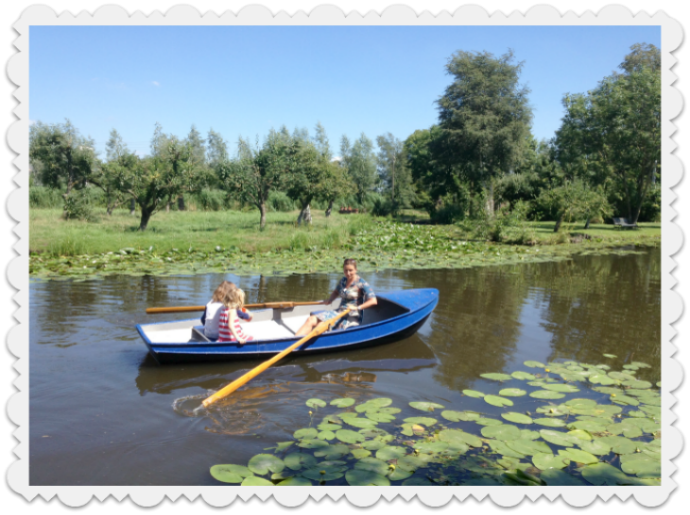 You can make a lovely trip over the water to Haastrecht or Schoonhoven. 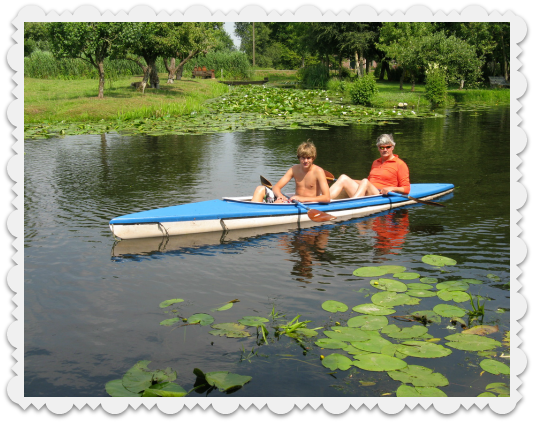 Our fleet consists of a canoe for two persons and a rowing boat for four persons. You can find the rent amounts in the Price Overview. Should you want to make an extensive trip by bike or boat it is good to be well supplied with food an drinks. We arrange that after a few hours of biking or rowing you can enjoy a perfect lunch. On your request we arrange a picknick basket for two to six persons with nice food from our own garden, and well covered sandwiches. As a drink we offer a juice of our own berries or a delightful French wine or Cremant that we import ourselves. In case you have special requirements like vegetarian, or low fat we will of course adjust the content of our basket. The pick nick service is for our room guests but also for everybody else just renting a bike or a boat. As we like to deliver high quality we would like to receive the request for a pick nick basket one day before so we can arrange for sufficient fresh goods.